General Grabber AT2 provides exceptional traction over all terrains. General Grabber AT2 provides exceptional traction over all terrains. 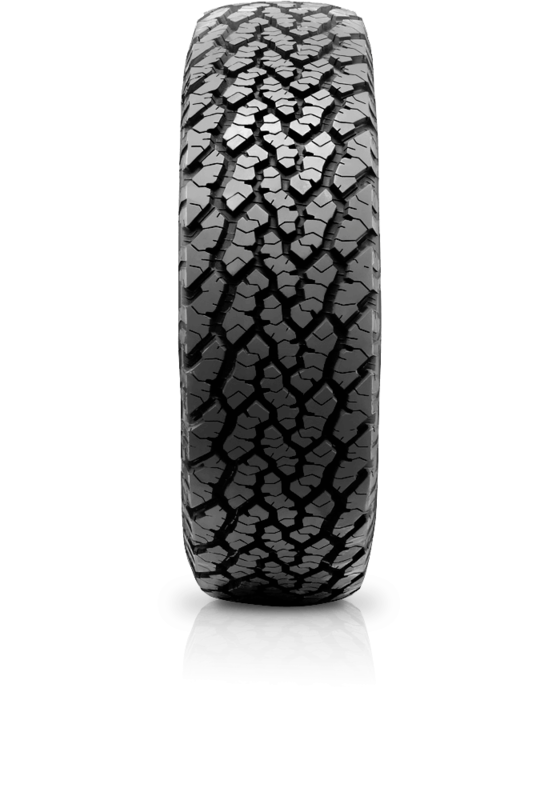 It is a tough all-terrain tyre designed with an aggressive, self-cleaning tread pattern that provides excellent off-road traction, durability and impressive performance on asphalt. Traction ridges at the base of every groove give added traction when the trail gets sloppy, whilst the advanced cut & chip resistant tread compound enjoys rough terrain providing excellent off-road performance. The flat tread contour provides an enhanced aggressive look and reduces uneven wear therefore increasing tread life. Pinned for studs and snowflake approved (selected sizes only).